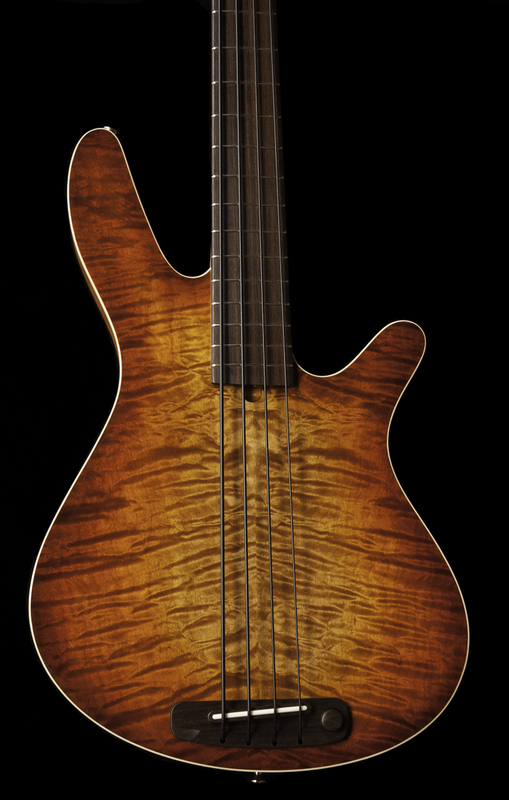 The Mb-2 Fretted produces the same rich tone as the Mb-2 fretless, but for players that prefer a fretted instrument. 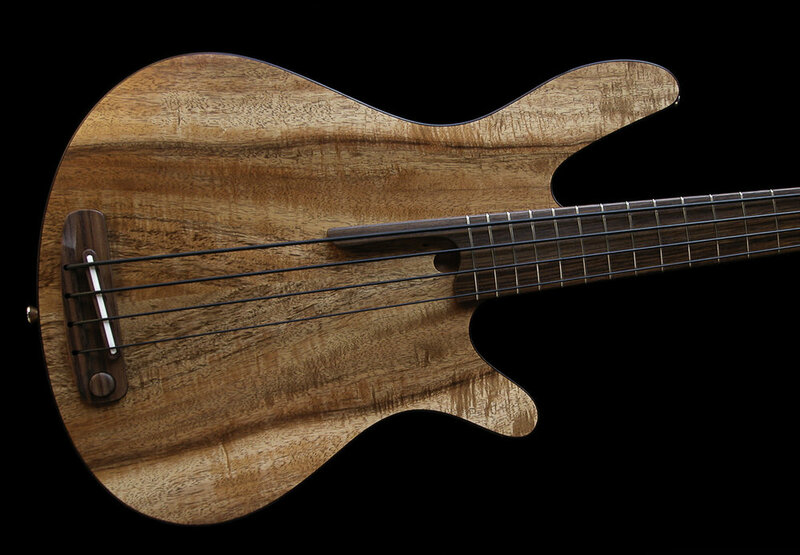 Slightly softer woods are used on the Mb-2 fretted, such as an alder body, walnut or mahogany neck, and an Indian Rosewood fingerboard to offset the introduction of the metal frets into the string path. The tiny mandolin sized frets are made of nickel silver, and have a minimal amount of mass, so are nicely offset by the softer woods chosen for this model. Due to the nylon outer wrap on the La Bella 760n strings, there is very little noticeable fret wear even after years of playing. 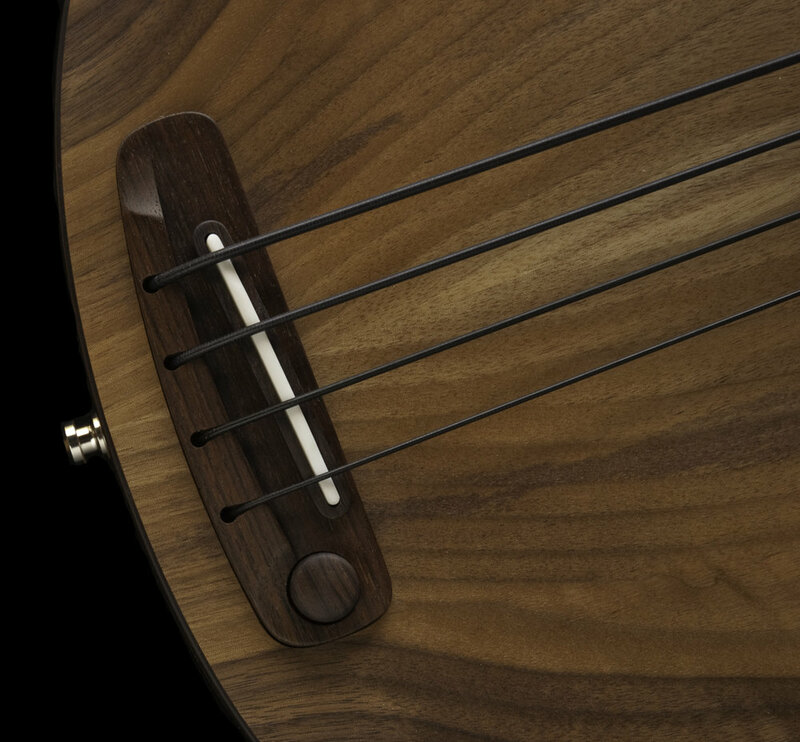 MB-2 bass combines the warmth of an upright bass with the punch of a solid body, creating it's own unique tone. It is a lightweight hybrid, semi-hollow instrument that is organic in sound and feel. The MB-2 is made with the highest quality materials, featuring hand selected tone woods, minimal finish for optimum resonance, and high quality electronics that feature a discreet signal path for pure unadulterated bass tone in combination with a piezo pickup. Unlike magnetic pickups which primarily sense the metal in the string, a piezo is a vibration sensor, making the sound of the wood itself the dominant factor. This makes for a very dynamic touch sensitive instrument. scale length- 4 string; 34" 5 string; 35"
nut width- 4 string; 1 5/8" 5 string; 1 7/8"
string spacing at bridge- 4 string; .750" 5 string; .690"